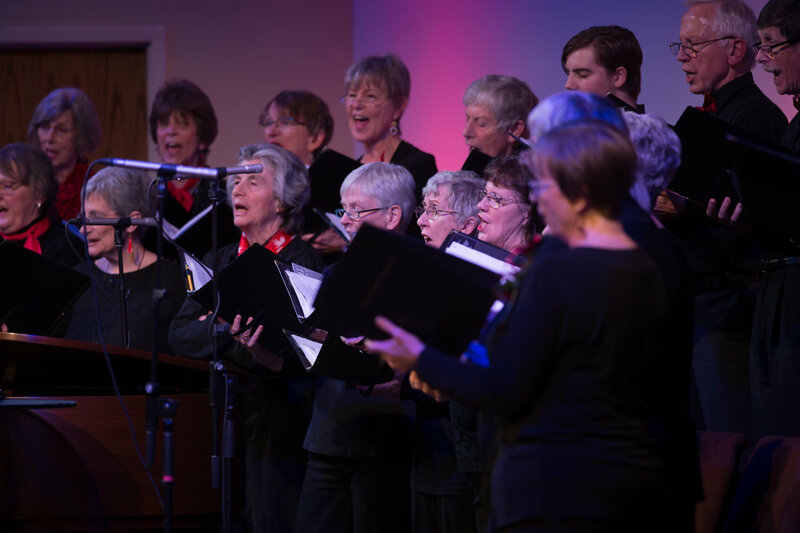 The Sound Investment Community Choir’s spring concert, MEMORIES, on Saturday April 13, 2019, will be a celebration of 45 years of bringing beautiful music to our South Georgian Bay Community. Online ticket sales begin in March…. Or you will be able to purchase tickets through Theatre Collingwood at 705-445-2200 or of course from your favourite SICC chorister. Also, SICC will be holding a very special concert on Tuesday evening, May 7 at 7:30 at the Trinity United Church, when the SICC hosts the Septini Sapni Choir all the way from Dobele, Latvia. They will entertain us with songs from their homeland and we will join them as we sing several Canadian songs together. The Sound Investment Community Choir is fortunate to be one of three choirs in Ontario, who will be hosting the Spetomni Sapni Choir in May. Plan to join us for this special event. 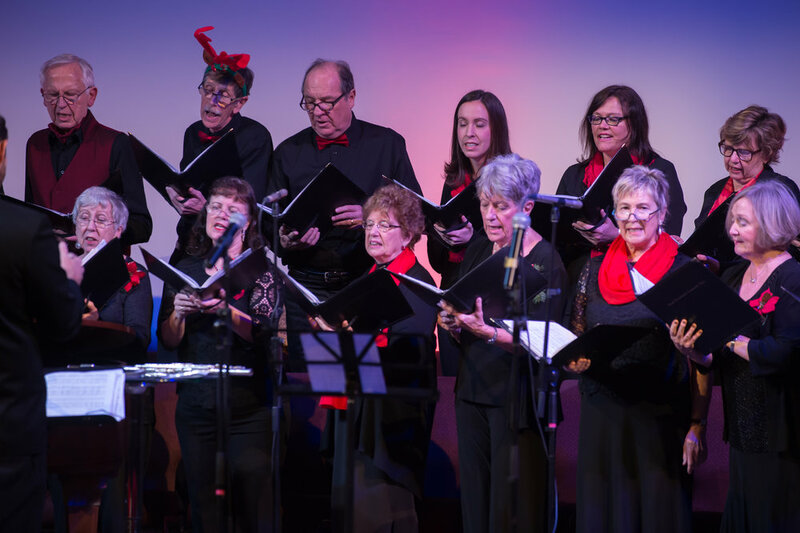 This holiday season the Sound Investment Community Choir took its audience on a musical Christmas tour, celebrating with song from around the world. 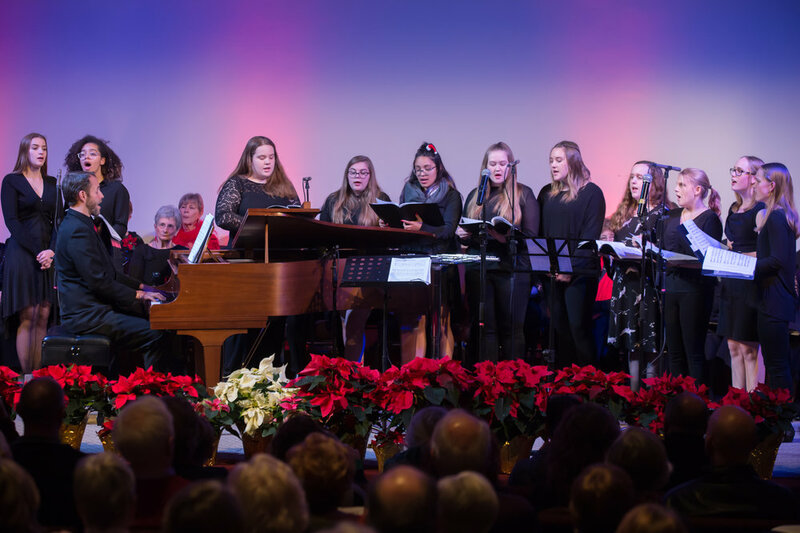 Joining us this year was the CCI Vocal Ensemble singing a few contemporary pop songs, also under the direction of Aaron Bell, their choral music teacher. Thank you to you and your choir for an enjoyable evening of wonderful music. The choir sounded great. And, what a lovely treat hearing the high school girls... they were delightful. Thanks to your group for preparing such a lovely programme. It certainly got me in the mood for Christmas. I liked the choir coming out to see the audience and speaking to us before the concert. I think it represented the spirit of the community choir. A nice touch! Thanks for taking us on a tour of the world this Christmas! A really lovely variety of music! Enjoyed the young girls ensemble from CCI. Delightful! Sound Investment Community Choir has a brand new logo! 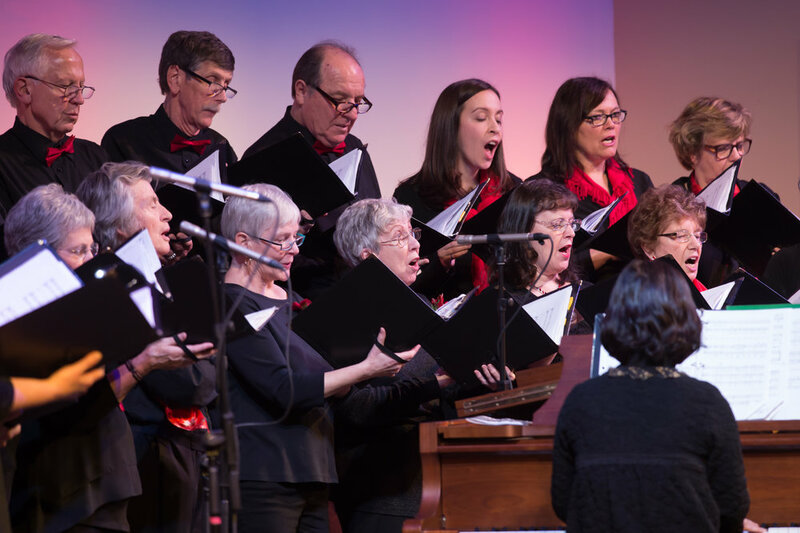 JOIN A DYNAMIC COMMUNITY CHOIR! Come celebrate with us! This is our 45th year of creating wonderful music for our community! Rehearsals for our April 14th Spring concert will begin on Monday, January 13th, at Sunset Manor, 49 Raglan St., Collingwood. Our rehearsals run from 7:00 - 9:00 p.m. The Sound Investment Community Choir is a SAB choir which bases its rehearsals in the Collingwood area. We have members from all over the South Georgian Bay area - from Wasaga Beach, Creemore, Stayner, Meaford, Thornbury, Duntroon, Town of Blue Mountains and Collingwood.